Last week Studio Canal released their new Lance Armstrong biopic, 'The Program', and along with this release will also be a performance, a very stoic performance, where we'll get to see the IT Crowd's Chris O’Dowd playing it straight for a change. Well, normally we see him playing it for laughs, don't we? This time though, Chris is playing a tenacious Sunday Times journalist trying to catch a dodgy cyclist in the act of drudgery (No. I don't know what that word means either). So in honor of this great... errr... word... lets see what other comedians have tried to play it straight. Yes. I do know that Chris's part in 'The Program' isn't his only foray into serious drama. He cropped up in 'Vera Drake', played it largely straight in 'The Sapphires', plus on top of that, no one can say he wasn't a sharp shooter in the 'Calvary'. That said, however, we defy anyone not to think of him as Roy, last seen in the hit TV Series, 'The IT Crowd'. And let's not forget to mention his Emmy Award-winning creation, 'Moone Boy', or his breakthrough role in the brilliant, 'Bridesmaids'. All of which showcased his impressive comedic chops. Some people know him as the 'Nutty Professor'. Other people know him as that idiot who once hanged round Dean Martin. As for me on the other hand, well, I know him as those two things, as well as being that obsessive fool who tried to make, 'The Day The Clown Cried'. Basically this was an experimental film that went so badly wrong it's never been released. But fear not, Lewis fans, Jerry did manage to bounce back a decade later with his performance opposite Robert De Niro in 'The King Of Comedy', playing a chat show host that De Niro's character was obsessed with. Now who can forget Steve Carrell's performance opposite Tina Fey in 'Date Night'? I can. It was crap, and I much preferred seeing his style of comedy on the films 'The 40-Year Old Virgin' and 'Anchorman'. Also, his tenure in 'The Office' was a right blast. In fact, it was such a blast, afterwards Steve calmed down a bit on movies like, 'Seeking A Friend At The End Of The World', opposite Keira Knightley, 'Foxcatcher', opposite a man who says things, and more recently, 'The Big Short', opposite someone tall. With a name like Whoopi, Ms Goldberg was bound to become a comedian. Many years before she became the main-chick on the prime-time TV show, 'The View', Woe-Berg was the jovial clairvoyant seen in 'Ghost', as well as that jovial nun who ran away from Harvey Keitel in 'Sister Act'. Heck, even a sperm donation comedy with Ted Danson, who she was married to at the time, scored big bucks! So perhaps it's sometimes hard to remember that Goldberg has a hefty set of dramatic talents as well, as evident in such memorable roles as 'A Colour Purple', 'Girl, Interrupted', and 'How Stella Got Her Groove Back'. Whenever I think of Jim Carrey, I can't help but think of his rubber face, energetic performances, as well as being that nice man who introduced the world to Cameron Diaz. More importantly, though, Carrey can act. He can act, and act, and act. And then he can act some more. So forget about his comedic performances on 'Liar, Liar', 'That one with Jennifer Anniston', plus that film where he and Jeff-thingy did that thing to that thing, and remember such classic films as 'The Truman Show', 'Eternal Sunshine of the Spotless Mind', 'Man On The Moon', 'The one where he and a young Obi-Wan were gay', and above all else, he really proved his credentials on a odd little horror drama called... errr.... what was that number again? '23' or '69'? He may be fat. He may be short. And he may be a short, fat, round, funny faced loon, who made it big in such stoner comedies as 'Superbad', 'This Is The End', and 'The Sitter'. But if you can look past all of that, Jonah Hill is still a man -- a short, fat, round man -- built for more than playing wisecracking gits. People often forget he had a cameo in 'Django Unchained', plus he also played Leo's right hand man in 'The Wolf Of Wall Street'. 'Moneyball' is also the real proof of the pudding and a brilliant performance to boot. When you look at Jennifer Aniston what do you see? Do you see a girl other girls can't stand? Or do you see her as Rachael, from Friends, who graduated from Central Perk to the silver screen with a career peppered with largely forgettable rom-coms. Given the opportunity, though, Aniston can shine as brightly as she once did. She was great in the criminally underrated 'The Good Girl', whereas most recently 'Cake' has reminded us that she can actually act. Robin Williams once said his favorite film was the Peter Sellers 1964 war-time comedy, 'Doctor Strangelove'. Funny really, because like Peter, Robin was also the consummate comedic actor, and likewise managed to mix together drama, pathos, and humor, all rolled up into one magnificent package! 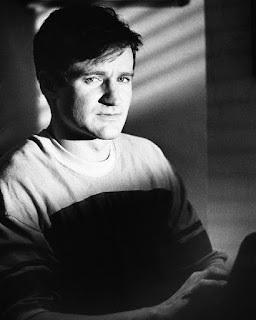 Honestly, the genius of Robin at his best can make a person either speechless or cry with laughter. Sure, he made a name for himself as one of the best stand-up comedians and will be forever adored in such family comedies as 'Good Morning Vietnam'. But in the same breath, 'Dead Poets Society', 'Good Will Hunting', 'Awakenings', and 'The Fisher King', also made him an actor first, as well as a comic. It can easily be said that Richard Pryor’s personal life was dramatic due to his hefty set of addictions, and his cinematic output was largely limited to broad, and often very funny comedies. Despite starring in 'Superman 3', which I promise I won't mention anymore, 'Brewster’s Millions' and a repeated partnership with Gene Wilder are some of his career highlights. But, lest we forget, he did have some dramatic props, especially those pointed at Paul Schrader when he had a bit part in 'Taxi Driver'. His cameo in David Lynch’s 'Lost Highway' is pretty hard to forget too.